New York's Rensselaer Polytechnic Institute Architecture student Cody Seipp as his final project has envisioned how US City Detroit would look 33 years after it was acquired by Amazon in 2018. The idea came to be as Detroit was among those bidding to become home to Amazon's second headquarters in North America but lost out in the shortlisting earlier this year. 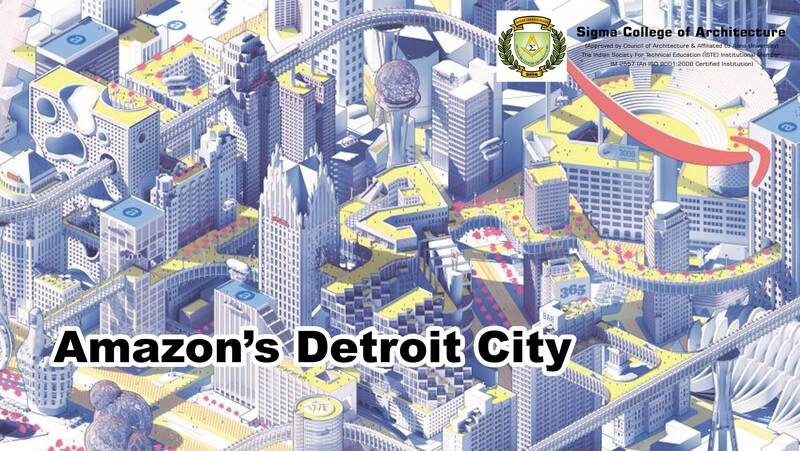 In Seipp’s design Amazon would have full control over Detroit's policies, activities, and redevelopment operations and the design aimed to better integrate transit and the built environment with the community and public space. The design paves way in such a way that existing structures will also get integrated into the system. Seipp had chosen Detroit as it would be particularly ripe for such extensive redevelopment, as the city suffered a huge decline in population after industries abandoned the city during the second half of the 20th century.